This page defines the Terms and Conditions that apply to all monies and wagers accepted by us and all Services offered by, and on any Website provided by us, including the following websites: www.canplaycasino.com, www.canplaycasino.net, www.canplaysports.com and www.canplaysports.net (“the Website(s)”). THESE TERMS AND CONDITIONS ESTABLISH THE RULES GOVERNING YOUR PARTICIPATION AT THE CASINO, YOUR ACCESS AND USE OF THE WEBSITES AS WELL AS YOUR USE OF ANY OTHER SERVICE OFFERED BY US. UNLESS OTHERWISE SET FORTH IN THESE TERMS AND CONDITIONS. BY PARTICIPATING AT THE CASINO, ACCESSING OR USING THE WEBSITES, OR USING ANY OTHER SERVICES PROVIDED BY US TO PLACE SPORTS BETS, SUCH SPORTS BETS ARE ALSO SUBJECT TO THE APPLICABLE BET RULES, AVAILABLE AT https://www.canplaycasino.com/Sports-Betting-Rules/. 1.1 Participation at the Casino, access and use of the Websites and use of Services offered by Us is at Your sole option, discretion and risk. 1.2.1 Internet Gambling may be illegal in Your jurisdiction. The Casino is not intended to enable You to contravene applicable law. You are responsible for any gaming activity and You are also responsible for ensuring that You are not contravening any law or legislation prohibiting gaming online. Before relying on any information contained on the Website or You should consult the rules in Your jurisdiction. We disclaim to the fullest extent lawfully permitted all liability for any use of the Casino and Website, whether the service is moderated or not. You are solely responsible for ascertaining whether it is legal in Your Jurisdiction to participate at the Casino. 1.2.2 The Casino cannot open accounts or process bets or financial transactions for individuals residing outside of Canada. 1.3 You may only participate at the Casino if You are a legal resident of Canada. 1.4 All applicants must be over 19 years of age to use the Service except in Alberta, Manitoba and Quebec, where the admissible age is 18. We reserve the right to ask for Your proof of age and suspend Your Account until satisfactory documentation is provided. 1.5 We do not warrant the legality of Your participation at the Casino in terms of the laws of Your Jurisdiction. 1.6 We have the right to request that You to furnish us with proof of Your identity and age as a condition precedent to us allowing You to participate at the Casino. All information supplied when registering with the Website or otherwise required to access the Casino must be accurate and complete in all respects. 1.7 You hereby authorize us and our designated agents as and when we require, to confirm Your identity and Your right to use the monies that You wager at the Casino. 1.9 Funds and/or Casino credits may only be transferred between Casino accounts belonging to the same player i.e. transfers to third parties are not permitted. 1.10 The Casino, at its discretion, reserves the right to pay any winnings in Canadian Dollars, to require any and all bets or plays to be in Canadian Dollars, to facilitate all purchases using Canadian Dollars, and to require all withdrawals to be in Canadian Dollars. 1.11 We have the right to verify Your Account information at any time and suspend Your Account pending adequate verification. You are asked to keep Your registration details up to date. If You change Your address, email, phone number or any other contact or personal information please contact customer support in order to update Your Account information. 1.12 You agree to receive communications from the Casino Group and its marketing agents. 1.13 The Casino does not allow Players to gamble on credit. However, currency usable in the Casino may be available for purchase using credit or debit cards. 1.15.1 We reserve the right to reclaim all bonuses awarded and any winnings accrued if Players are found to be tampering with or abusing any aspect of a Casino promotion. Where there is evidence of a series of bets placed by a Player or group of Players, which due to enhanced payments through promotional offers results in guaranteed Player profits irrespective of the outcome, we reserve the right to ignore the bonus element of such offers and settle bets at the correct odds. We further reserve the right to ask any Player to provide sufficient documentation for us to be satisfied in our absolute discretion as to the Player’s identity prior to us crediting any bonus, free bet or offer to their account. 1.16 By registering, You are deemed to have accepted and understood all the Terms and Conditions, Privacy Policies, Bet Rules, and other rules, regulations, limitations, and other information displayed on the Website or otherwise provided to you by the Group. We recommend that all members print out (or save to file) all transaction records, rules of play, cancellation policies, and pay-out policies. 1.17 If using a credit or debit card, the Player’s name MUST be the same as the name used when registering with the Website. Where this is not the case we may suspend Your Account. When an account is suspended, You may contact Player Services for details of our verification process at the following email address: support@canplaycasino.com. Any withdrawals that are made by bank wire or cheque will only be payable to the name used when registering with the Website and if a debit or credit card has been used to deposit funds the name must correspond to the name registered on the card. 1.19 We have an obligation to remit funds to players within a reasonable amount of time. Uncontested funds pending for withdrawal may be reversed back to the Casino account should Players not respond or abide by the withdrawal requirements. Should withdrawals be reversed they will be available for play within the Casino. The Casino will not be held liable for funds used for gambling or playing. 1.20 If You do not wish to have pending funds made available to You, You may contact Player Support directly and temporarily lock Your Account. To do so, email us at support@canplaycasino.com. 1.21 All applicants may be sent an email to the registered email address for account activation. All accounts may be activated by following the instructions in this email. If this is not completed, the Casino reserves the right to suspend all activities on the account until the account details are verified. 1.5.1 The provisions of this Section 1.5 only apply if all of Your Accounts are dormant or inactive. An account will be considered inactive if You do not access or log into the account for 30 consecutive days. Once Your Account is inactive, any successful attempt to access or log into Your Account will return it to active status. However, we may require You to take additional steps to verify Your identity in order to reactivate any account. 1.5.2.1.3 30 months after the Player’s Account becomes a Dormant Account. 1.5.4 Notwithstanding meeting any play through requirement, in our sole and absolute discretion, You may lose any bonuses and winnings derived from such bonuses if such moneys remain unused by You at the Casino for a period of 3 months from the date on which such bonus(es) were awarded. For the purpose hereof all loyalty points awarded shall be construed to be bonuses. 1.9.1 The use and abuse of a bug (i.e. an error, flaw, failure or fault in the Casino, Website, and/or any of our systems), bots (automated programs, scripts, or algorithms), or any other form of artificial intelligence in Your interactions with the Casino and/or Website not permitted and grounds for suspending Your Account. 2.1. We are not liable for any downtime, server disruptions, lagging, or any technical or political disturbance to the game play. We are not liable for any acts or omissions made by Your internet service provider or any third party with whom You have contracted to gain access to the server that hosts the Casino and/or Website. Software and Services are provided ‘as is’ and the we make no warranties or representations, whether express or implied (whether by law, statute or otherwise) including but not limited to implied warranties and conditions of merchantability, satisfactory quality, fitness for a particular purpose, completeness or accuracy of the Software/Services or infringement of applicable laws and regulations. We expressly disclaim any obligations or promises with regards to the quality and performance of the Software/Services. 2.2. We shall not be liable for computer malfunctions, failure of telecommunications service or Internet connections nor attempts by You to participate in any games or activities in the Casino and/or Website by methods, means or ways not intended by us. You are solely responsible for any telecommunications devices and services utilized by You to access and interact with the Casino and/or Website. 2.3. We make no warranty that the Software or Services will meet Your requirements, be uninterrupted, timely, secure or error-free, that defects will be corrected. 2.4. We make no warranty or assurances that the software or server we utilize to make the Casino and/or Website available to You are free from viruses or bugs or concerning the functionality, accuracy and reliability of the Software or Services. In the event of systems or communications errors relating to the generation of random numbers, bet settlement or other element of any games or activities in the Casino, we will not be liable to You as a result of any such errors and we reserve the right to void all bets on the draws in question. 2.5. We cannot guarantee that the Service will never be faulty but we will correct reported faults as soon as we reasonably can. If You encounter a fault or bug, we encourage You to report it by contacting Customer Support at support@canplaycasino.com. 2.5.1 We shall accept no liability for any damages or losses which are deemed or alleged to have arisen out of or in connection with the Casino Website or the Services; including without limitation, delays or interruptions in operation or transmission, loss or corruption of data, communication or lines failure, any person’s misuse of any games or activities or any errors or omissions in content. 2.5.2 We reserve the right to cancel or otherwise void, refuse or limit any wager(s) at our sole discretion for any reason whatsoever. In circumstances where a stake is deemed to be or is declared void by us at our discretion, any sum deducted from Your Account with respect to that stake or wager shall be credited to Your Account. Wagers shall only be valid if accepted by our server and subject to this Agreement. Until acceptance, no communications from You shall be binding on us and all information displayed on Casino and Website constitutes an invitation to play only. Malfunction (of the Casino or Website or Your equipment) shall be a basis for us to void all transactions, games, and activities affected by said malfunction. At our discretion, we may waive a rule or term in this Agreement in the interest of fair play to You. If we do so, it shall only be for that instant and shall not set a precedent for the future. 2.6. We reserve the right to void or correct any winnings that were obtained as a result of hardware/software error or malfunction. Players found abusing such errors/malfunctions are subject to having their account closed and any deposits and/or winnings forfeited. In the event of a Casino and/or Website system malfunction, we retain the right to void all affected bets. We reserve the right to suspend, modify or remove or add to the Casino and/or Website any games or software at our sole discretion with immediate effect and without notice. We shall not be liable to You for any loss suffered by You resulting from any changes made or for any modification or suspension of or discontinuance of the Software or Services and You shall have no claims against us in such regard. 2.7. In the event of a Casino system malfunction or errors, all wagers are void. Refunds may be given solely at our discretion. Where a manifest error, mistake or system failure results in an incorrect odd, line or handicap taken in a bet, the bet, or that part of the bet if it is a multiple bet/parlay will be null and void. As used in these Terms and Conditions, Casino system malfunction or errors include, but are not limited to, any error that directly results in overpayment to you. 2.8. We may temporarily suspend the whole or any part of the Service or any game or activity for any reason at our sole discretion. We may, but shall not be obliged to, give You as much notice as is reasonably practicable of such suspension. 2.9. In accordance with Section 4.2 below, we will not be liable to You for any loss that You may incur as a result of any suspension or delay of the Service or any game or activity. 2.10. It is Your sole responsibility to account and report relevant taxes on winnings that might be applicable in Your jurisdiction. 2.11. We do not provide advice to Players regarding tax and/or legal matters. Players who wish to obtain advice regarding tax and legal matters are advised to contact appropriate advisors and/or authorities in the jurisdiction in which they are domiciled and/or resident. 2.12. Players are strictly prohibited from utilizing the Casino and /or Website and their systems to facilitate arbitrage through any currency exchange transactions. Where we deem that a Player has deliberately used the aforementioned systems for financial gain through arbitrage, any gains will be forfeited and deducted from the Player’s balance without warning or notification. 4.1.7. use or re-use of the Casino Software, whether downloaded from the Casino Website or by any other means or through any other medium. 4.2. You understand and agree and recognizing that Your participation in the Casino, access and use of the Websites and use of the Services offered by Us is at your own risk; You understand and agree that in no circumstances whatsoever shall any ACW Party, nor any of their suppliers or licensors, be liable to You for any direct, indirect, special, consequential, punitive, exemplary or other damages of any kind, including, without limitations, damages for loss of profits, goodwill, use, data or other tangible or intangible loss or any other damages based on contract, tort, negligence, strict liability or any other theory (even where We have been notified by You of the possibility of such loss or damage), resulting from Your participation in the Casino, access and use of the Websites and use of the Services offered by Us; Your inability to participate in the Casino, access or use the Websites or use the Services offered by Us; unauthorized access to or alteration of Your transmissions or data; statements or conduct of any third party in the Casino, on the Websites or on or through the Services offered by Us; any actions We take or fail to take as a result of communications You send to Us; any incorrect, illegible, misdirected, stolen, invalid or inaccurate entry information; human errors; technical malfunctions; failures, including public utility or telephone outages; omissions; interruptions; latency; deletions or defects of any device or network, providers or software (including, but not limited to, those that do not permit You to participate in the Casino, access or use the Website or use the Services offered by Us); any injury or damage to computer equipment; inability to fully participate in the Casino, access or use the Website or use the Services offered by Us; theft, tampering; destruction, or unauthorized access to, or alteration of, entries, images or other content of any kind; data that is processed late or incorrectly or incomplete or lost; typographical, printing or other errors, or any combination thereof; or any other matter relating to the Casino, Websites or Services offered by Us. Except as otherwise expressly set forth herein, ACW’s liability to You for any cause whatsoever and regardless of the form of the action will at all times be limited to the amount paid, if any, by You to ACW for general participation in the Casino, access or use of the Websites or use of the Services offered by Us during the term of you maintain an Account with Us, not including any bets or any entry fees for contests completed prior to the circumstances giving rise to the claim. 4.6. You acknowledge and agree that you assume full responsibility for your participation in the Casino, access and use of the Websites and use of Services offered by Us. 4.7. You acknowledge and agree that any information you send or receive during your participation in the casino, access and use of the websites and use of services offered by us may not be secure and may be intercepted or later acquired by third parties. 5.1. The Casino shall, from time to time, offer certain promotions and competitions and that these competitions and promotions may have separate terms, conditions and rules that are competition or promotion-specific and any complimentary bonus credited to Your Account must be used in adherence with such terms and conditions. 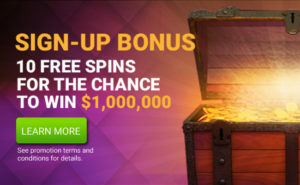 Where wagering requirements for bonus money or free credits are not specifically stipulated in promotional offers then the rules are available on www.canplaycasino.com/ bonus-wagering-requirements/. 5.2. These Terms and Conditions apply to any competition or promotion. 5.3. In the event of a conflict between these Terms and Conditions and the promotion and/or competition-specific Terms and Conditions, the promotion and/or competition-specific Terms and Conditions (as applicable) shall prevail but only to the extent that the Terms and Conditions conflict with one another. 5.4. We reserve the right to exclude players from taking part in any promotion relating to the Casino in our sole discretion. Promotions are for limited time only and we reserve the right to terminate any promotion at any time without prior notice. If unused bonuses remain, that bonus, as well as any winnings generated by such bonuses and loyalty points issued, will lapse after 3 months of date of issue. This is applied at our absolute discretion notwithstanding having met playthrough requirements for such bonuses. 5.6. The Casino is part of the Casino Group. You may not claim a Bonus at the Casino if (1) prior to opening an Account at the Casino, You have opened an Account at any other online casino within the Casino Group and claimed such a bonus from such other online casino and (2) having claimed such bonus from the other online casino within the Casino Group, wagered such previously claimed bonus and initial deposit less than 100 times at the online casino granting You such bonus. Under no circumstances shall You be eligible for more than one sign- up bonus at the Casino even if You are able to open multiple Accounts thereat (in, for example, different currencies or languages). 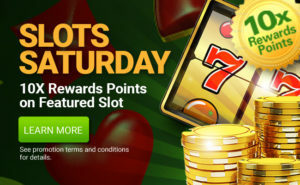 If Your Account at the Casino has been credited with a sign- up bonus for which You (in our sole and unfettered discretion) are ineligible, the Casino shall retrospectively void such sign- up bonus and any winnings received by You after the sign- up bonus has been credited to Your relevant Accounts. 5.7. Before Bonus amounts can be transferred from Your Bonus Balance to Your Cash Balance Bonus, they must meet the minimum wagering requirement specified in the terms and conditions of the applicable promotions and/or bonus offerings (the “Play-Through Requirement”). The Play-Through Requirement imposed will vary at our sole discretion per game and/or promotion. Any winnings attributed to the Cash portion of Your balance can be withdrawn at any time, subject to meeting all of these terms and conditions. In order to meet the wagering requirements, please see the contributing percentages on the applicable promotion or bonus offering specific rules. 5.7.2 If You do not want any Bonus which has been deposited into Your Account by the Casino, You are entitled to request that it be reversed out of Your Casino account. Such reversals will be subject to no Play-Through having taken place on the Bonus, the initial deposit and/or associated Sign-Up Bonus. You can initiate a reversal by contacting Customer support by email, telephone call or live chat. If any part of the Bonus has been used, then the Bonus may not be removed from Your Account (either by means of withdrawal or a request to the support staff) until the Play Through Requirement associated with the Bonus has been met. 5.7.3 Where a Sign-Up Bonus has been granted to You, subject to You being required to have met all wagering requirements, You will be limited to a maximum withdrawal value of 6 times Your first deposit amount and any remaining balance will be forfeited. This Section will only be applied at the discretion of casino management. All progressive wins are exempt from this Section. 5.8. Before any withdrawals are processed, Your play will be reviewed for any irregular playing patterns. In the interests of fair gaming, equal, zero or low margin bets or hedge betting, shall all be considered irregular gaming. Other examples of irregular game play include but are not limited to, placing single bets equal to or in excess of 30% or more of the value of the bonus credited to their account, until such time as the wagering requirements for that bonus have been met. For the purposes of this rule, a bet is defined as one roulette spin or one dealer’s dealt hand in any table game, or one deal in any Video or Power Poker game (this includes Multi-Hand/Play games). Any double or gamble shall be considered a new bet. Should we deem that irregular game play has occurred; we reserve the right to withhold any withdrawals and/or confiscate all winnings. 5.8.2 In the event that we believe You are abusing or attempting to abuse a bonus or other promotion, displaying irregular betting behavior, or You are likely to benefit through abuse or lack of good faith from a gambling policy adopted by us, we may at our sole discretion, deny, withhold or withdraw from You any bonus or promotion, or rescind any policy either temporarily or permanently, or terminate Your access to the Services and/or block Your Account. In such circumstances, we shall be under no obligation to refund to You any funds that may be in Your Account other than Your original deposit amounts. 6.1. In addition to these Terms and Conditions, certain Rules of Play, Bet Rules and Frequently Asked Questions (“FAQs”) shall apply to You and be binding upon You in respect of Your participation at the Casino. 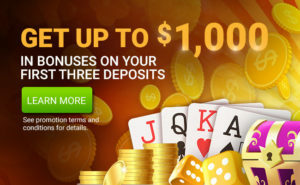 These Rules of Play can be found at https://www.canplaycasino.com/casino-games/ , Bet Rules at https://www.canplaycasino.com/sports-betting-rules/ and FAQs at http://support.canplaycasino.com/. 6.2. You hereby agree to be bound by the aforementioned Rules of Play, Bet Rules and FAQ’s as if they were specifically incorporated into these Terms and Conditions. 6.3. In the event of a payout being left in play on any game, the we reserve the right to collect and subsequently credit the Player’s balance with that amount. 6.5. Winnings may be confiscated and bets may be cancelled or otherwise voided in the event of a palpable error. Palpable errors include, but are not limited to, obvious mistakes when quoting odds (e.g., reversing the odds of a match or some other kind of accidental error made while quoting the odds). 7.3. It is the Player’s responsibility to retain copies of transaction records and Casino and Website policies and rules. It is also the Player’s responsibility to know the laws concerning online gambling in the country of domicile. 7.6. Players who withdraw a sum of money that is 5 times or more, greater than their lifetime deposits across the Casino Group will liable for detailed game and play review and only be able to withdraw their winnings at a sum of $4,000 per week. The remaining amount will be placed back in the player’s account until such time that they are eligible for a further withdrawal. This Section will only be applied at the discretion of casino management. All progressive wins are exempt from this Section. 7.7. Winnings are added in the selected currency for Your Account to the cleared balance of Your Account. Should You wish to withdraw some or all of Your balance You may select how much You wish to have paid back. The maximum withdrawal amount per 24-hour period is $10,000 or currency equivalent. If there are any concerns or queries regarding the collection of winnings, please email us directly. 8.3. You agree to pay us the applicable charges for any Tokens that You purchase, including applicable taxes, using a valid payment instrument (e.g., credit card, debit card, PayPal, or Facebook Credits)(“Payment Method”) that is connected to Your Account and is used to purchase Tokens by using Your login credentials, even if such purchases are made by minors. If Your Account is charged for items You did not purchase or that were not purchased using Your login credentials, or You were charged an incorrect amount, You may request a refund or correction in accordance with the policies of the applicable Payment Method payment provider policy. You are responsible for and agree to reimburse us for all reversals, charge-backs, claims, fees, fines, penalties and other liability incurred by us (including costs and related expenses) that were caused by or arising out of purchases that You authorized or accepted. You agree that You shall not receive a refund for any unused Tokens when an Account is closed, regardless of whether Your Account is closed by You or by us. Allowing You to voluntarily exclude Yourself from accessing the Casino by. 9.2. For full details about our Self-Exclusion Policy, please refer to the Responsible Gaming Page: https://www.canplaycasino.com/responsible-gaming/. 10.1. We hereby grant You a limited, revocable, non-exclusive, non-transferable right to use the Casino and the Casino Website and the Software and all content derived from the Casino and the Casino Website and the Software, including copyright and all intellectual property rights therein, solely in connection with Your participation in games and activities in accordance with these Terms and Conditions. 11.1.1. We may, without notice to You, amend, alter, delete, interlineate or add to (“Change”) these Terms and Conditions, the promotion or competition-specific Terms and Conditions or Rules of Play at any time whatsoever. 11.1.3. You agree to regularly review these Terms and Conditions, promotion or competition-specific Terms and Conditions and the Rules of Play regularly in order to assess whether any Changes have been made. If any part of these Terms and Conditions is deemed unlawful, void or for any reason unenforceable, then that part shall be deemed to be severable from the rest of these Terms and Conditions and shall not affect the validity and enforceability of the remaining provisions of these Terms and Conditions. In such cases, the part deemed invalid or unenforceable shall be amended in a manner consistent with applicable law to reflect, as closely as possible, our original intent. No indulgence granted by the Casino to You should be construed as a waiver of any of our or the Casino’s rights in terms of these Terms and Conditions. Unless otherwise expressly stated, nothing in these Terms and Conditions shall create or confer any rights on any persons not party to these Terms and Conditions. By accepting these Terms and Conditions You are fully aware that there is a risk of losing money when gambling by means of the Website and You are fully responsible for any such loss. You agree that Your participation in the Casino, access or use of the Website and use of the Services offered by Us is at Your sole option, discretion and risk. In relation to Your Losses You shall have no claims whatsoever against us or any of our partners or their respective directors, officers or employees. Unless the context otherwise indicates, these Terms and Conditions set out the entire agreement between us and supersede all prior oral or written agreements, arrangements or understandings between us. You acknowledge that You are not relying on any representation, agreement, term or condition that is not set out in this Agreement. You hereby agree that any legal proceedings to enforce any claim that You may have (if any) against the Casino shall be initiated by You within a period of 6 (six) months of the cause of action arising (the “Prescription Period”); failing which You hereby forever waive and abandon any right that You may have to enforce such claim after the Prescription Period and confirm that on the expiry of the Prescription Period the said claim shall be void, waived and abandoned in law. These Terms and Conditions may be translated into many different languages. If there is any discrepancy between the English language version of these Terms and Conditions and any other-language version of these Terms and Conditions in the meaning and interpretation of any of the provisions of these Terms and Conditions, the meaning and interpretation of the provisions under the English language version shall prevail. 11.14.3 Arbitration procedure. Any arbitration will be conducted by JAMS under its comprehensive arbitration rules and procedures. If You are a consumer as defined by JAMS, the JAMS consumer arbitration minimum standards will also apply which include the right to an in-person hearing. You agree to commence arbitration only in Your jurisdiction of residence or in Toronto, Ontario. The arbitrator is authorized to award all relief, and only that relief, available under applicable law, i.e., the relief that would have been available to the parties had the dispute been heard in court, subject to these Terms and Conditions. Any exchange of information will adhere to the JAMS rules. The arbitrator’s award will consist of a written statement providing for the disposition of each claim. The award will also provide a concise written statement of the essential findings and conclusions on which the award is based. The arbitrator’s award shall be binding and may be entered as a judgment in a court of competent jurisdiction. For more information see the JAMS website. This Section 11.14.3 applies to the extent permitted by the applicable law, and is not binding on individuals resident in Ontario or Quebec. 11.14.4 Fees and Costs. If You are a consumer (as defined under JAMS rules) and You commence arbitration against us, the only fee required to be paid is an initial case management fee which is approximately equivalent to current court filing fees. All other costs, excluding Your attorneys’ fees, will be borne by us. If we commence arbitration against a consumer, we will pay for all costs associated with the arbitration excluding Your attorneys’ fees. If You are not a consumer, then each party will pay a pro rata share of the arbitration costs. The Parties are responsible for paying their own attorneys’ fees. For arbitrations outside of Ontario, the arbitrator shall have the authority to award reasonable attorney’s fees and costs to the prevailing party if such an award is allowed by law. For arbitrations within Ontario, the arbitrator shall have the authority to award reasonable attorney’s fees and costs to a claimant who prevails against us if such an award is allowed by law. This Section 11.4.4 applies to the extent permitted by the applicable law, and is not binding on individuals residing in Ontario or Quebec. 11.14.6 Conflict with JAMS rules. These Terms and Conditions govern to the extent they conflict with JAMS’s comprehensive arbitration rules and procedure. 11.14.7. Any customer who has any concerns or questions regarding the Casino or regarding a settlement should first contact Customer Services via email at support@canplaycasino.com. Any unresolved complaint may be referred to the relevant Gaming Authority as detailed below. In the event of a change of control, merger, acquisition, or sale of assets of the company, Your Account and associated data may be part of the assets transferred to the purchaser or acquiring party. In such an event, we will provide You with notice via email or notice on our web site explaining Your options with regards to the transfer of Your Account. If we become aware that You have played at any other on-line casino under any of the circumstances set out at (i) to (xiii) above. If You wish to close Your Account, please contact Player Services directly by sending an email to support@canplaycasino.com. In the event of a discrepancy between the result showing on the Software our server software, the result showing on our server software shall be the official and governing result. 12.1. AcknowledgementCompany and you acknowledge that this Agreement is concluded between Company and you only, and not with Apple, and Company, not Apple, is solely responsible for the Mobile Casino and the content thereof. To the extent this Agreement provides for usage rules for the Mobile Casino that are less restrictive than the Usage Rules set forth for the Mobile Casino in, or otherwise is in conflict with, the App Store Terms of Service, the more restrictive or conflicting Apple term applies. 12.2. Scope of LicenseThe license granted to you for the Mobile Casino is limited to a non-transferable license to use the Mobile Casino on an iOS Product that you own or control and as permitted by the Usage Rules set forth in the App Store Terms of Service. 12.3. Maintenance and SupportCompany is solely responsible for providing any maintenance and support services with respect to the Mobile Casino, as specified in this Agreement (if any), or as required under applicable law. Company and you acknowledge that Apple has no obligation whatsoever to furnish any maintenance and support services with respect to the Mobile Casino. 12.4. WarrantyCompany is solely responsible for any product warranties, whether express or implied by law, to the extent not effectively disclaimed. In the event of any failure of the Mobile Casino to conform to any applicable warranty, you may notify Apple, and Apple will refund the purchase price for the Mobile Casino to you; and to the maximum extent permitted by applicable law, Apple will have no other warranty obligation whatsoever with respect to the Mobile Casino, and any other claims, losses, liabilities, damages, costs or expenses attributable to any failure to conform to any warranty will be Company’s sole responsibility. 12.5. Product ClaimsCompany and you acknowledge that Company, not Apple, is responsible for addressing any claims of you or any third party relating to the Mobile Casino or your possession and/or use of the Mobile Casino, including, but not limited to: (i) product liability claims; (ii) any claim that the Mobile Casino fails to conform to any applicable legal or regulatory requirement; and (iii) claims arising under consumer protection or similar legislation. This Agreement does not limit Company’s liability to you beyond what is permitted by applicable law. 12.8. Developer Name and AddressCompany’s contact information for any end-user questions, complaints or claims with respect to the Mobile Casino is set forth in Section 16. 12.9. Third Party Terms of AgreementYou must comply with applicable third party terms of agreement when using the Mobile Casino. 12.10. Third Party BeneficiaryCompany and you acknowledge and agree that Apple, and Apple’s subsidiaries, are third party beneficiaries of this Agreement, and that, upon your acceptance of the terms and conditions of this Agreement, Apple will have the right (and will be deemed to have accepted the right) to enforce this Agreement against you as a third party beneficiary thereof. 13.1. Network Operator and Other ChargesYou are solely responsible for any connection, use or other charges levied by Your network operator when You register to play the Games, download the Software, place bets or communicate with us. These charges shall form no part of any bets placed. 13.2. ConnectivityYou (the Player) are solely responsible for any telecommunications devices, networks, GPRS, LTE, Internet access services and other consents and permissions required in connection with Your use of the Casino. 14.3. Any reproduction of material from this website or portion thereof must include the copyright notice in Section 13.1 in its entirety. Any unauthorized copying or use of the content on this website, whether in whole or in part, is an act of copyright infringement and makes the DOER liable to prosecution. We reserve the right, in our sole discretion, to change these Terms and Conditions at any time by posting the changes on the Sites. Any changes are effective immediately upon posting to the Sites. Your continued use of the Sites constitutes Your agreement to all such terms and conditions.